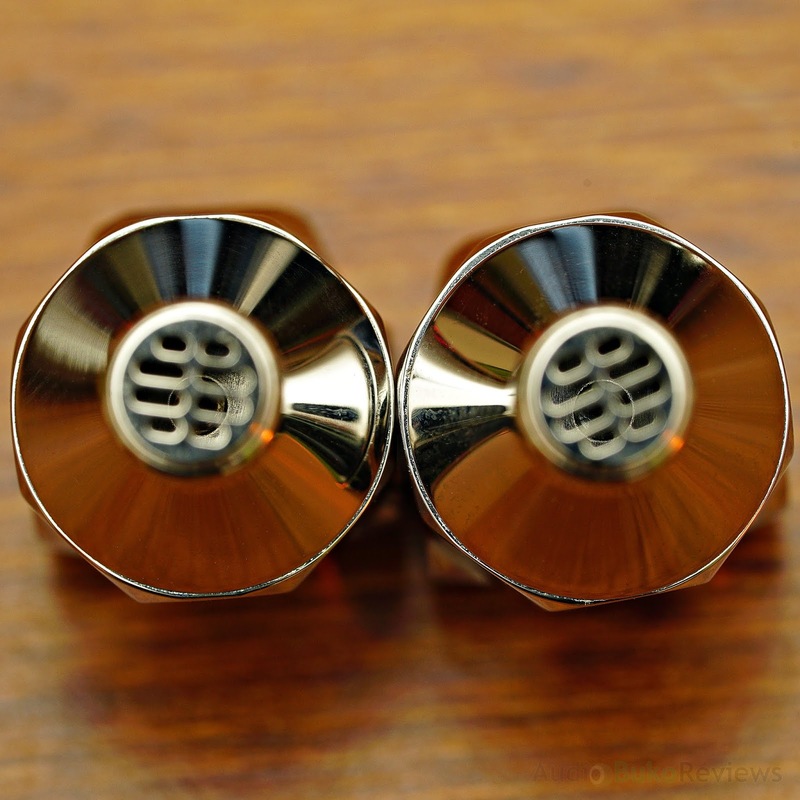 Introduction: Campfire Audio doesn't need much of an introduction as it's already a well known and respected audio company, but did you know that Campfire Audio started with Ken Ball and ALO Audio, creating amps, hand building fine cables, growing and improving their craft then eventually creating Campfire Audio and getting much acclaim and success from their varied line of IEMs through the years from 2015. 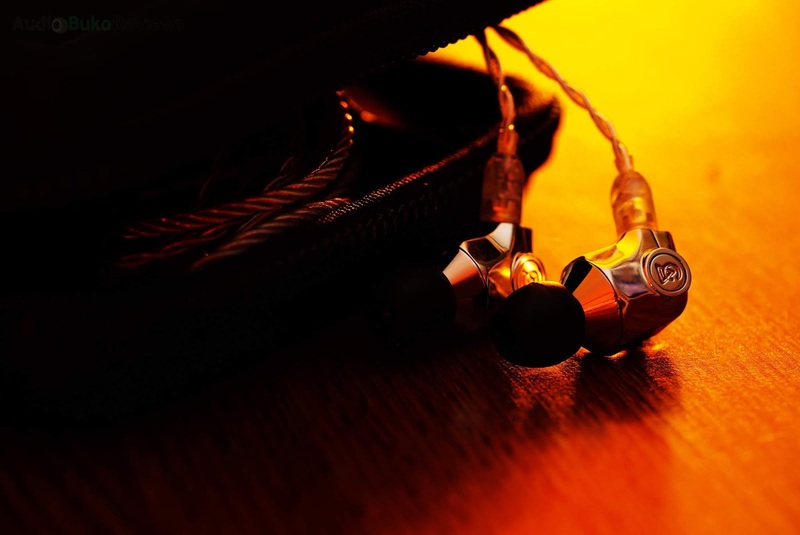 However, in 2018, big changes were set in motion, first with the release of that really spiffy Cascade headphone, and then the amazing stainless Comet (review is HERE) and it's literally big brother in body and sound, the Atlas. All three were a shift in Campfire's general product line, in the materials used in making them and the results are apparent in the happy faces of their owners. 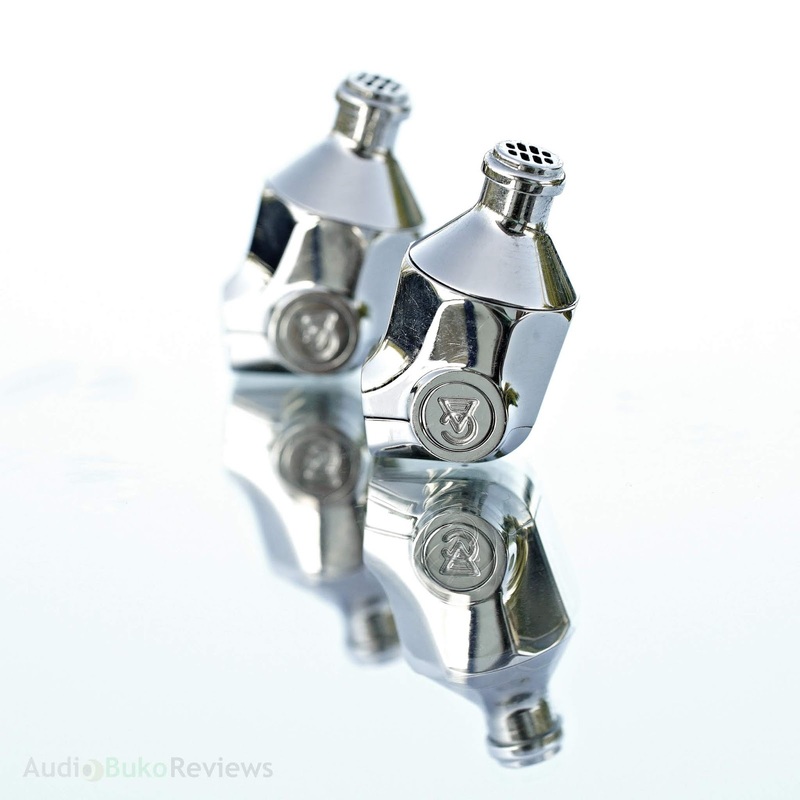 However, something else was brewing while we thought it was safe to open our wallets, Campfire Audio had a wildcard revealed when they made the Andromeda S, a spin on their classic IEM with stainless steel as the new material and a change in one of the balanced armatures, promising more bling and bang for your ears to love. 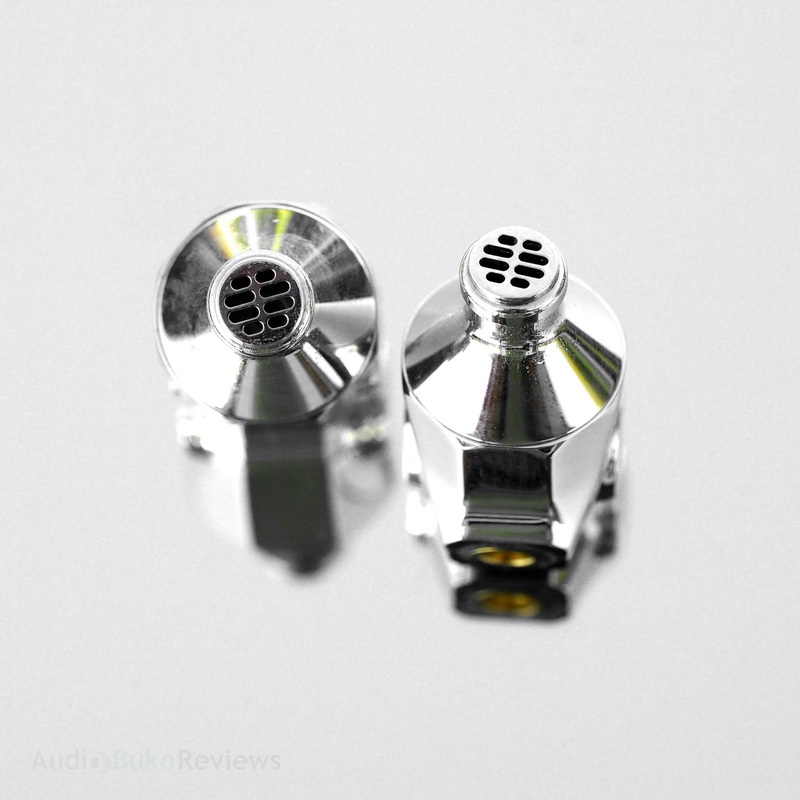 But before I forget that I'm not reviewing that, I'd like to reinforce the notion that, yes, today I'll be reviewing Campfire's top of the heap IEM, Atlas. 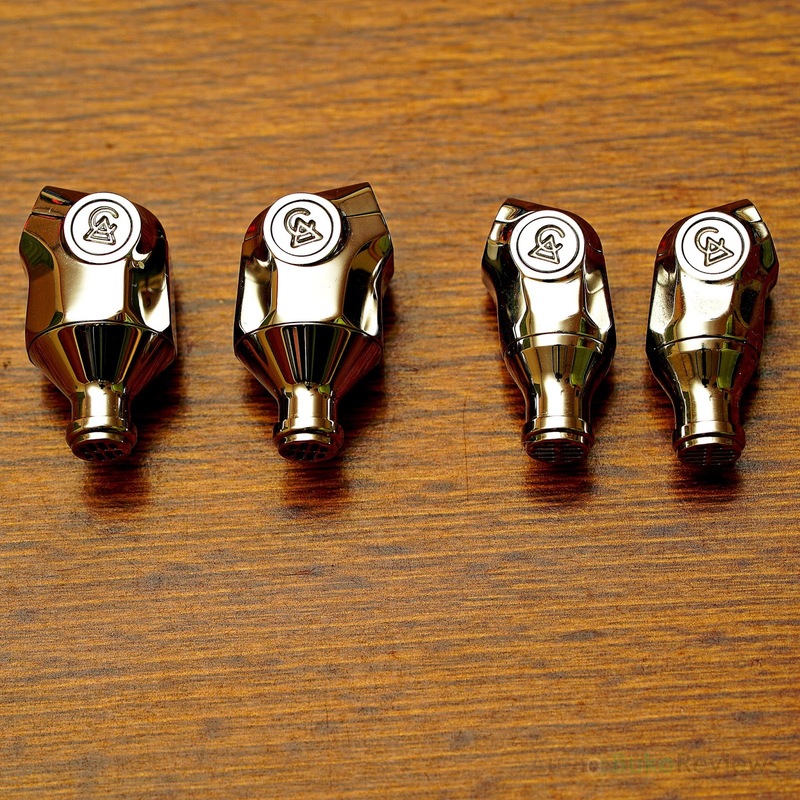 For now, just a short trivia of sorts, Campfire Audio has been giving names to their IEMs from celestial objects/bodies, and while some are pretty obvious in their naming, like the Comet, Andromeda, Polaris, Vega etc, the Atlas doesn't really mentally summon an image of a celestial body. Instead, one would think of an ancient titan that holds the universe on it's shoulders, an idea that easily dwarfs out other imagery. But to be scientifically correct, Atlas (it's modern designation) is a member of the Pleiades open star cluster (M45) and is also known as the Taurus constellation, with a designation of 27 Tauri Aa1. Geek mode off. I'd like to thank Ken Ball and the crew of Campfire Audio for the chance to review the Atlas in exchange for my honest and unbiased review. 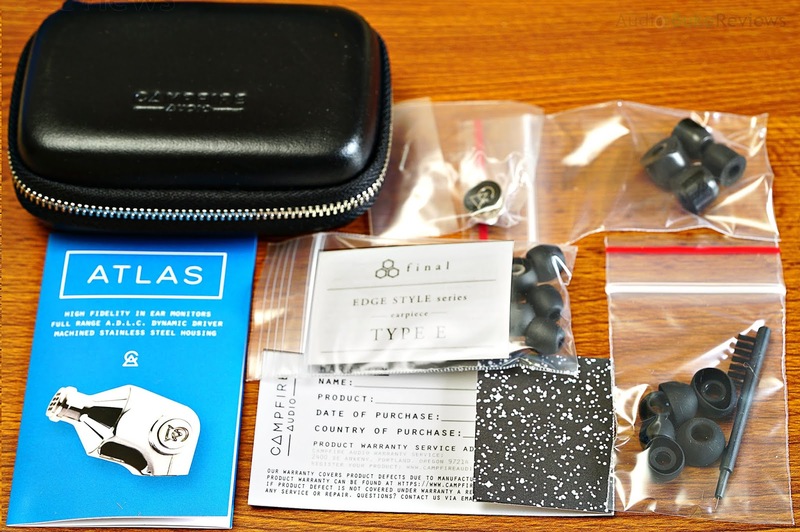 You can buy the Campfire Audio Atlas at the Campfire Audio website or locally if you have an official retailer for Campfire Audio products. 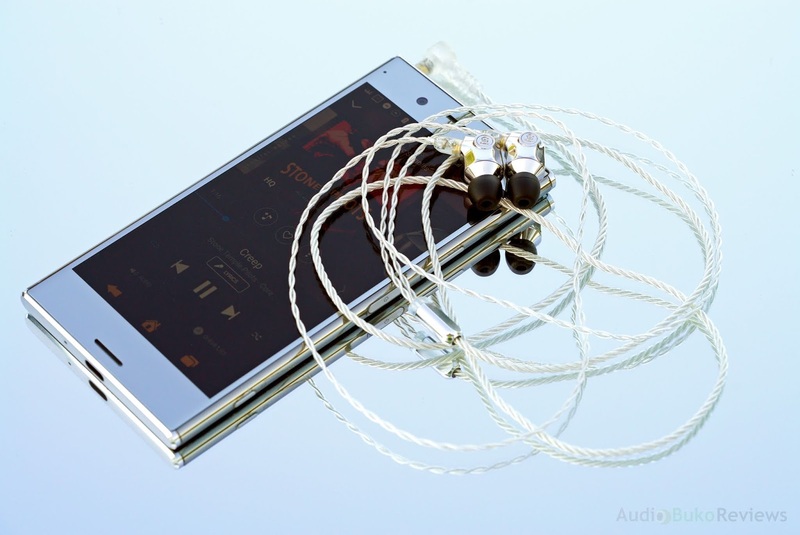 For something some considered big and made with exoticly hard materials, the Atlas is easy to drive with and push to loud volumes with even the most decent of sources my Sony XZ Premiums 3.5mm jack. The Atlas, like most good ear gear, scales to the source you provide and will sound better as you feed it better gear/music. 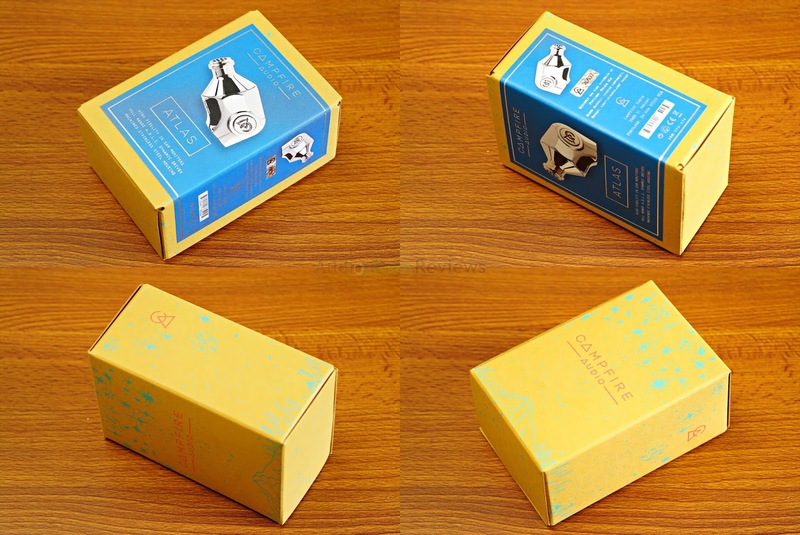 Unboxing: As always, Campfire Audio packaging is as compact as could be made with a rectangular USA Made “French Paper Company” Paper box, very little space is wasted and yet the design is simple, interesting and for me, effective. The blue motif Atlas infographic sheet is in front and wraps a good portion to the right side. The base paper has stars speckled all around and at the bottom, the montage of a mountain with a starscape above it with the Campfire Audio brand in the middle of that scene. 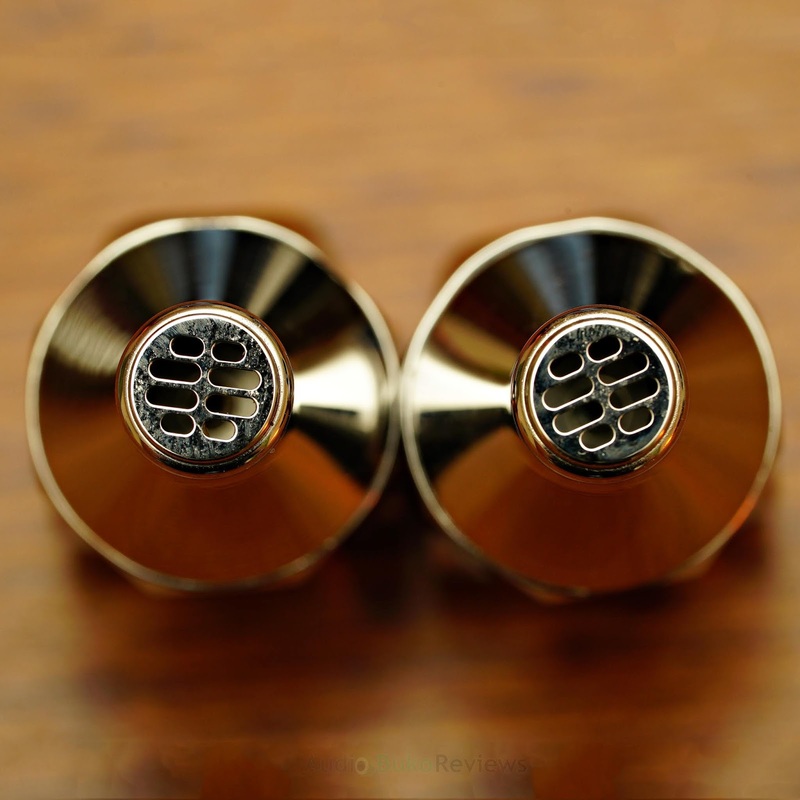 Cable: The Atlas comes with a pure Silver cable made inhouse by Campfire Audio, a clear departure from their usual cable, this bewitching Silver Litz cable is made with the Audiophile comes with the usual Beryllium MMCX connectors and a standard 3.5mm gold plated plug. 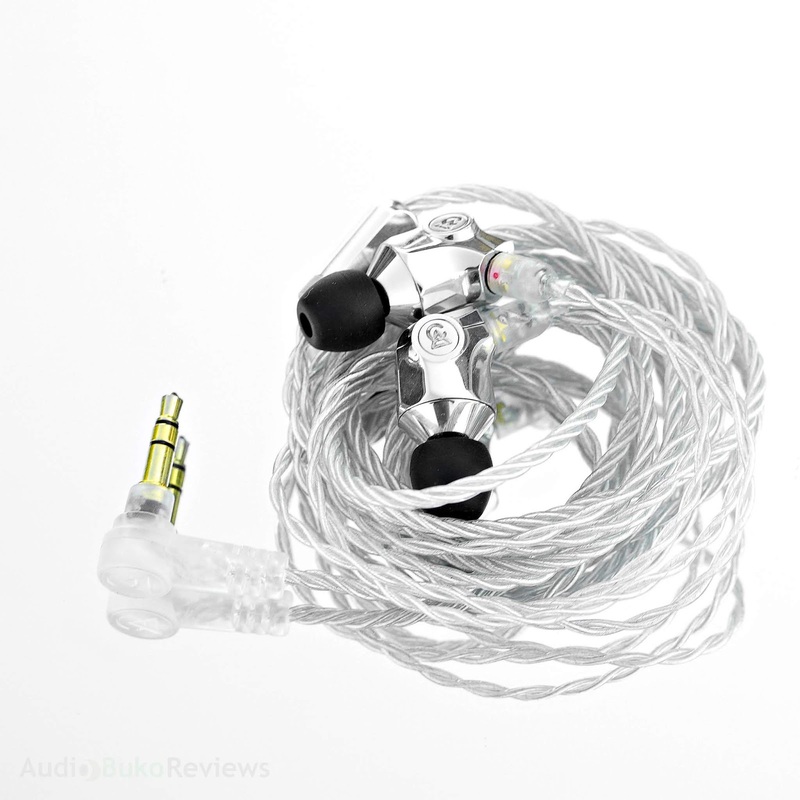 "The pure silver conductors provide additional resolution and refinement to an already exceptional sound. 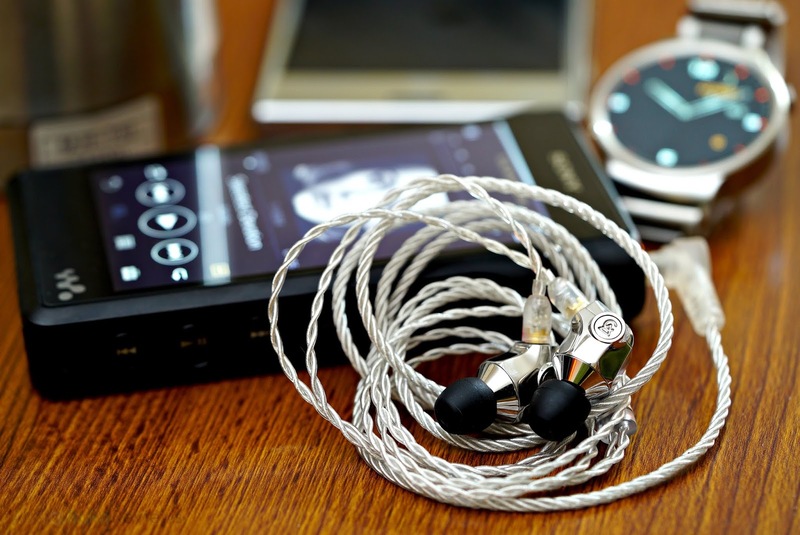 This cable is also wound with a twist that reduces tangling and microphonics improving your daily experience with Atlas." 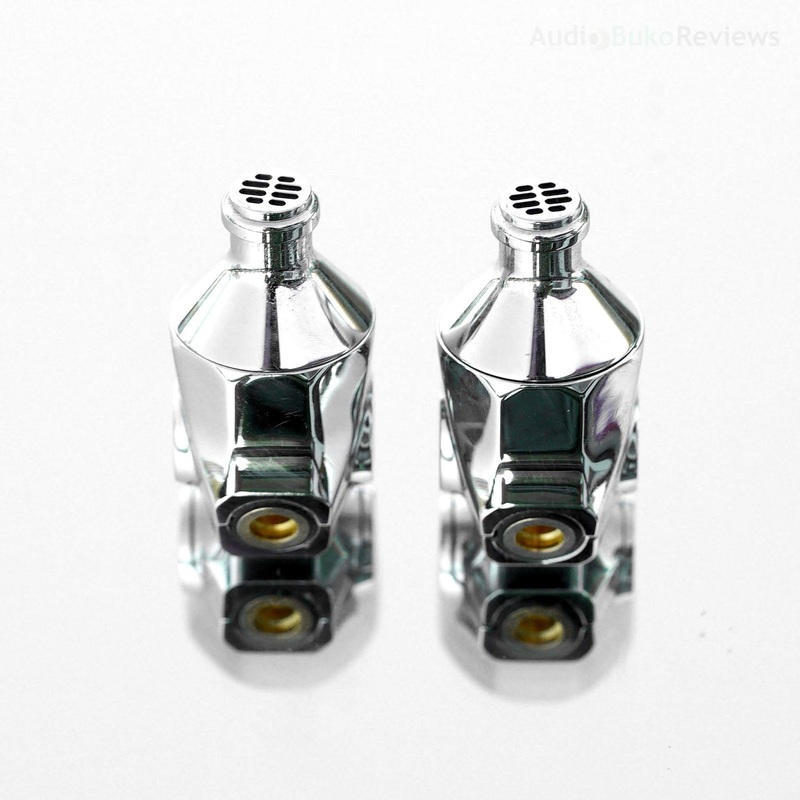 (From the Campfire Audio Atlas page.) And I have to say, the Atlas does sound better with it, along with the cable that does have a smaller amount of microphonics and from trying to use it on the move, proves to be quite tangle resistant. 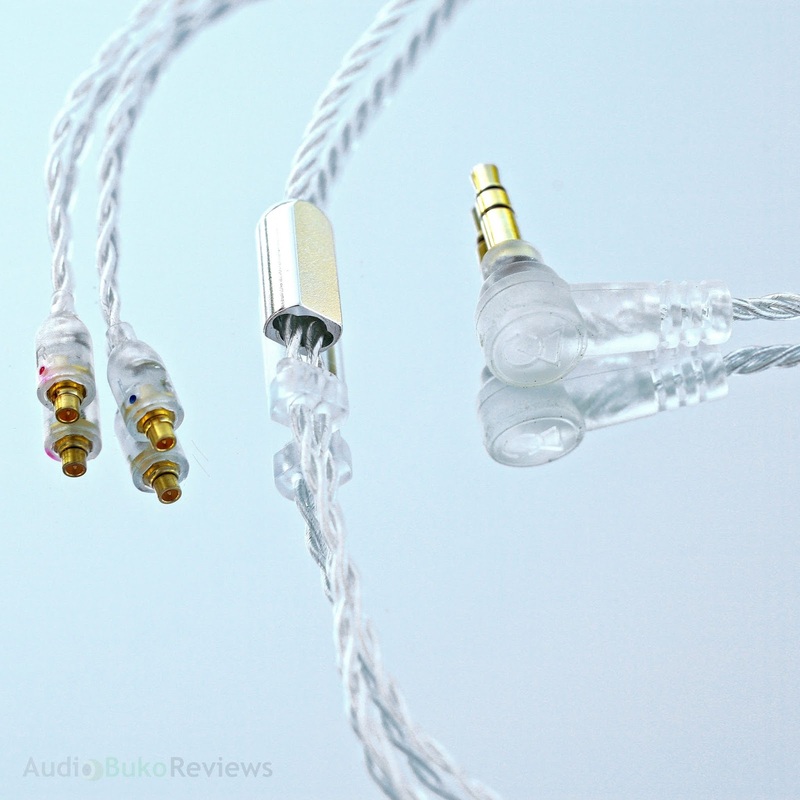 The cable is also pretty soft and flexible, yet gives a good feeling of durability backed by Campfire Audios experience in making cables. 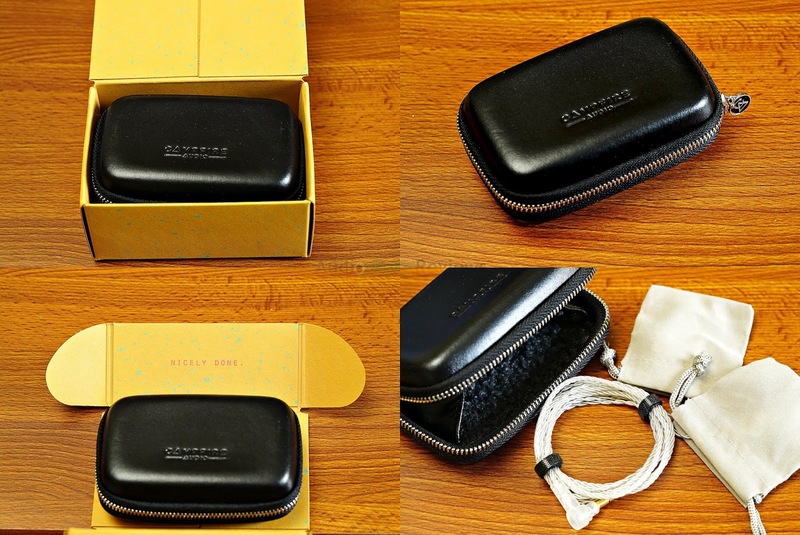 The basic design materials are the same as the other Campfire Audio cables, a 90 degree transparent 3.5mm gold plated plug with the CA logo, the flat metal bead cable splitter, the plastic chin adjuster and the Beryllium MMCX connectors with colored dots for Left Right identification. 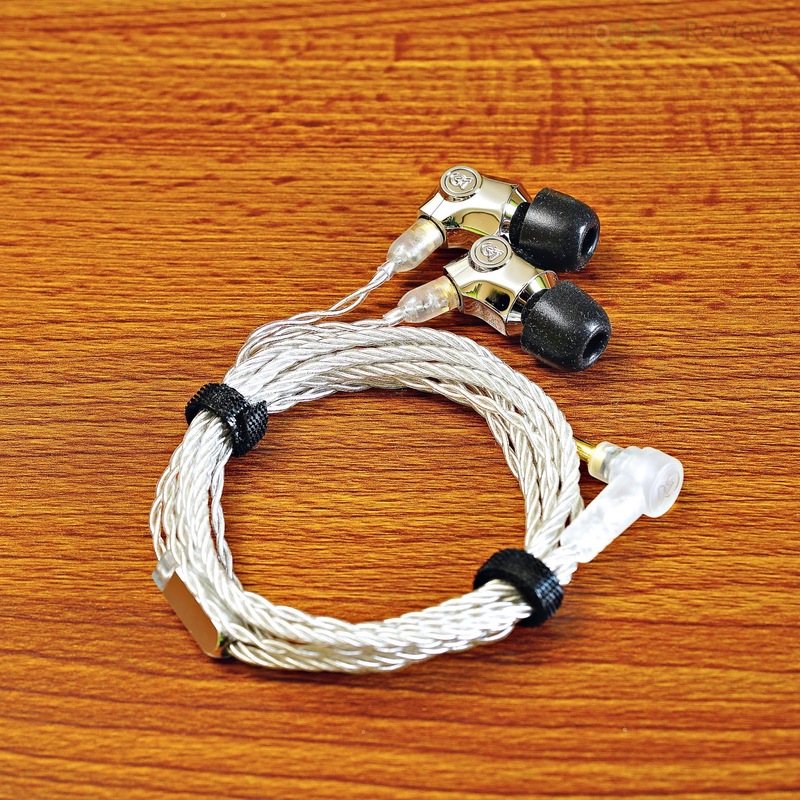 The Silver Atlas cable is twisted vs braided, drawing more of a similarity with the pure copper cable that came with the Comet than the SPC Litz that came with the Andromeda, this does help avoid tangling and looks just as good as previous constructions. 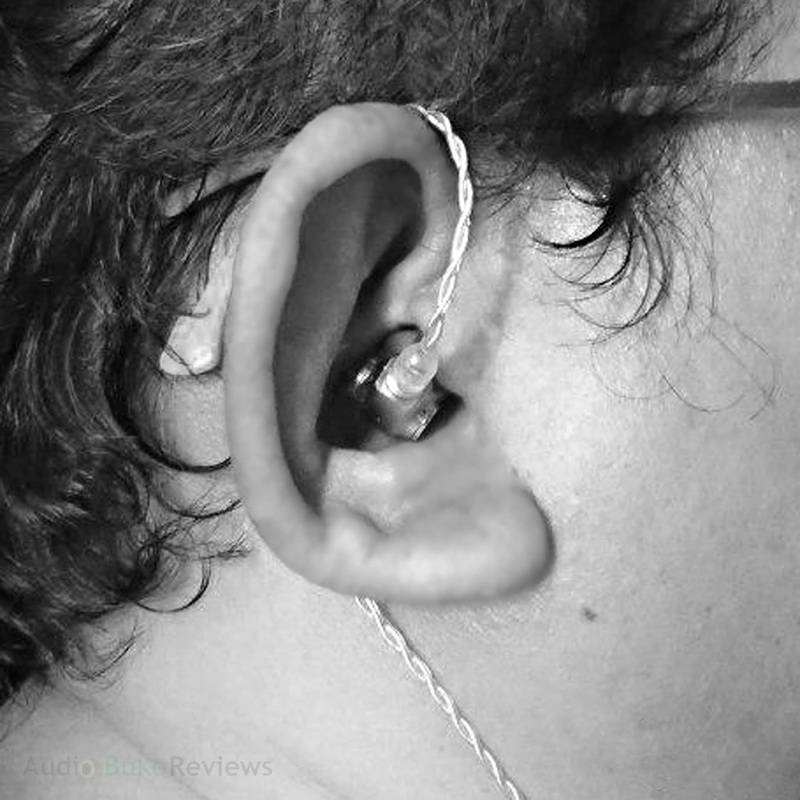 Some have said the weight is a bit uncomfortable especially with long use, though I personally find it quite alright and once the Atlas is inserted well, it stays in me ear like it wasnt there and can last for the better part of the day and night. (As a background, I confess to actually eating my Spinach and other veggies when I was a kid). 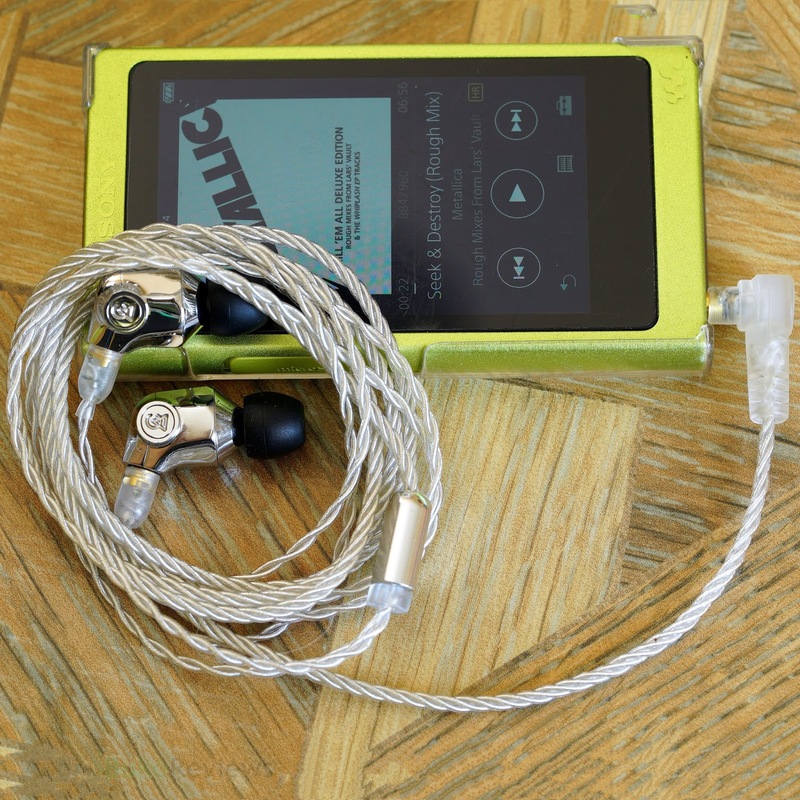 Whether it's looped on the ear or left hanging, both modes are fine with me with the Atlas, but over the ear is a bit familiar and does help reduce the perceived weight of the Atlas, especially when one eventually uses 3rd party or upgrade cables that weigh more than the lighter silver stock cable. Fit, seal and comfort is quite tip dependent on all designs that utilize a tube like design (since most parts do not even touch the ear for support and assistance with sealing, unlike IEMs with universal fit shaped shells) and with the Atlas, I found that the easiest fit, seal and comfort is the Marshmallow tips that come stock on it, next would be the Final Audio tips and even the stock silicone tips are good enough for use though I find myself using the smallest tips in all types. For 3rd party tips, the best fit seal and comfort I found was with JVC Spiral dots, followed by Acoustune AET06 and lastly with Symbio W tips. As noted in most feedback from Atlas users, incorrect insertion can cause driver flex to cut out the audio due to pressure building against the driver diaphragm, there are times this does happen but can be adjusted to prevent from happening (Inserting the Atlas while lifting your upper ear and opening your mouth usually helps in this). Other than the Marshmallow (or Comply) tips being squished before insertion and letting it expand and seal, short tips helps minimize the pressure build up (Spiral dots, small tips). 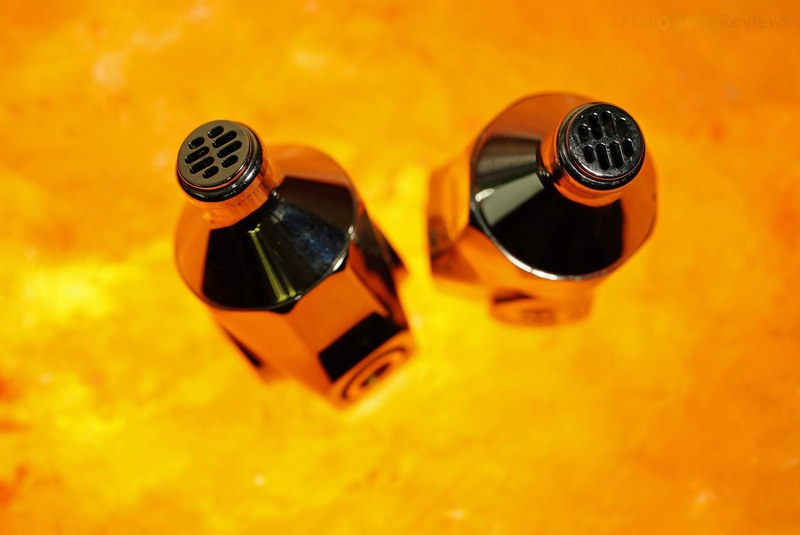 The Atlas nozzle tip is like the Comet, strong, prominent, grilled and secure. None of the tips I used were easy to take off (and some, to put on) so that should alleviate any fears of tips left in people's ears. And like the Comet, the beautifully hand buffed body can be quite an OC person's nightmare (oh no, a smudge!!!) but that smooth mirror finish stainless steel frame also lends to an easy clean and quite a sturdy build. The Atlas 10mm driver is one of the highlights of it's design, it's bigger than the Vega's 8.5mm and shares the same material design for the diaphragm, an Amorphous Diamond-Like Carbon (ADLC) that's a hybrid of non crystalline diamond and graphite carbon, a low density and high rigidity material. The more rigid the diaphragm, the more it can provide a bigger range of frequency responses at lower distortion and the lighter/less dense the material is, the easier it is to move and respond, increasing the fidelity of the sound it generates. The Atlas diaphragm achieves this and it shows in how it performs. Sound Analysis: Back when I first heard the Atlas, I was overwhelmed by the quality and strength of it's bass, a bass that does not overrun the mids or takes away from it, allowing the vocals and instruments presented to stand on its own with detail and presence while the treble brings air and crisp without the harshness or sibilance from reaching too high. It was quite amazing and behind the scenes I've always thought that it sounded like good table speakers were plugged into my ears. 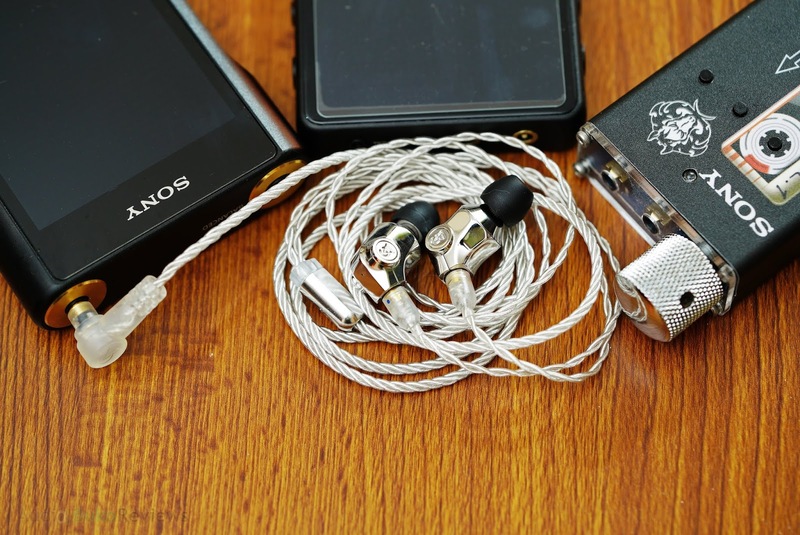 Given that imagery, For this review, I only started listening intently with the Atlas after over 400+ hours of music playback, I mixed and matched different tips but used the stock Final Audio tips for sound analysis and various DAPs and DACs but mostly with the WM1a. Bass: The Atlas' bass is arguably one of it's best aspects that will entrance your ears with its ludicrously large and competent speaker type feeling and sound. Sub- bass wise, listening to Jeremy Soule's Dragonborn, you can visualize large drums being slammed to the beat with the skin membranes vibrating to each strike and the reverberations going way down deep, slowly fading, the notes quite resonant and audible till the last note dies. Its speed is far from languid but neither would it be called fast as the lingering vibrations sound almost natural with a bit of flair for the instrument used. In general, the sub-bass is a little slow in decay and yet can easily resolve without distortion or overlapping near continuous grungy bass riffs and the reverb from it like the one on The Day The World Went Away where if the decay is too slow, it will overlap into a mess, and bad distortion control and resolution will make this song quite annoying to listen to. There is an organic level or crunch to the Lithiums bass guitar, which leaves one with an impression of realism, an unembellished bass sound that is clean and detailed. The bass on the Atlas is just as great, with a weighty punch following a good attack, the amount of air that the 10mm diaphragm pushes is quite amazing and yet doesn't feel overwhelming like on first listen. The refinement of sound shows in its ability to present detail, layers and texture. Creep by Stone Temple Pilots exposes just how the Atlas' bass is quite balanced and unboosted, the full elements of bass, control and overall quality is quite wonderful, like a free standing speaker in your ear, pulling out the bass in a track and presenting it in a pleasant and palpable way that your ears will say domo arigato gozaimasu (thank you very much) while weeping silently in pleasure. For the sake of not going overboard and writing every song with a even a hint of bass and describing how the Atlas makes it sound good ad nauseum, I'll end the bass section saying the Atlas is quite likely, THE top of the line when it comes to bass, if you love bass and you like the rest of the sound section, you can't go wrong here. Mids: Mids are life, or so I tell myself every time I have a chance to review gear with a beautiful mid frequency and the Atlas is no exception, the transition between the bass and mids is smooth and even with the humongous power of the bass, none of it bleeds or impedes the mids, yet its influence shows in the warmth exhibited in every note played. As some people have mentioned, that the Atlas is a the lovechild of the Andromeda and the Vega, I would handily say it may be just that. Though the bass is better than the Vega, the mids are not as detailed as the Andromeda, still they do both present the mids as beautiful and musical, providing a goodly amount of resolution and detail but falling quite short of being usable for surgical dissection of music. Balance is the equation with the Atlas as the lower and upper mids are relatively just a bit above neutral placement and benefit from equal portions of thickness and clarity, as again with Dragonborn, the Atlas is able to convey an organic and natural sound that are easily presented as both an individual sound and yet coherent with the whole, instruments, male vocals and female vocals sing and chant throughout the track, channeling emotion and energy throughout the song, I almost feel like marching off to my imminent doom against a dragon. Pandemic by Devin Townsend is a wall of complicated sound, a testament to the ability of the Atlas to resolve in time, separate and layer elements of a track, you can hear instruments, effect, female and male voices from the near cacophony of continuous sound, making the experience quite enjoyable and musical. Though the Atlas' bass is the obvious highlight, the mids are definitely not far behind with every song you throw at it sounding good, detailed, capable and quite importantly, musical. Treble: The Atlas being on top of the Campfire Audio lineup means only one thing, it can't go 2 out of 3 against the others in their stable and truth be told, its treble is not something that's lazily tweeting it's tunes. Balanced precariously between air, crisp and glare, the Atlas inherits the Andromeda's highs and dishes out a combination of crisp clarity and bodied control, the delicate harmonics on Deeply Disturbed sound natural, reaching a point where it COULD turn harsh, but instead gently trails off just a little bit faster than normal, like the cymbal crashes on A Question of Lust (Live) the initial hit registers in the expected position and fades out without much linger, a level of tuning that can give you the best of both worlds with extended highs and precise control. ALA.NI and her song Cherry Blossom is a sibilance nightmare for badly controlled and overly boosted treble gear, recorded with so much potential for sibilance, the Atlas reaches near the harsh tip of the "S" and rounds what would have been a sharp edge into a more listenable tone, you get most of the grit and sparkle without the subsequent bleeding of your eardrums at the minimal cost of not being the best of the best. In terms of air, space, layer and extension, Kill em All from good ole Metallica in their era of near wall to wall sound gives the high hats their due, sounding clear and present as cymbals crash all around, harmonics splash unhindered and the guitars, drums and vocals nearly scream into your soul with all the power thrash and metal can muster, and yet, they never sound harsh or crowded, managing a good deal of space and a comfortable sound that adds to the energy and musicality the Atlas can present. Soundstage: The Atlas soundstage would lean towards inheriting the Vega side as opposed to the Andromeda which roughly translates to the stage being wide from side to side but not as much as the Andromeda which is known for its wonderfully wide stage, however the front and back distance is able to go quite deeper, allowing for the placement of instruments, vocals and sounds to be articulate in layering and imaging, this is hinted with the amount of air and separation the Atlas is able to display and what better way to test this out is with songs that have a lot of different sound sources playing at the same time like Pandemic, each sound has it's own layer that is comfortably spaced, and thus does not ever sound congested and adds to the overall feeling of musicality as opposed to a maddening rush of near incoherent sound. 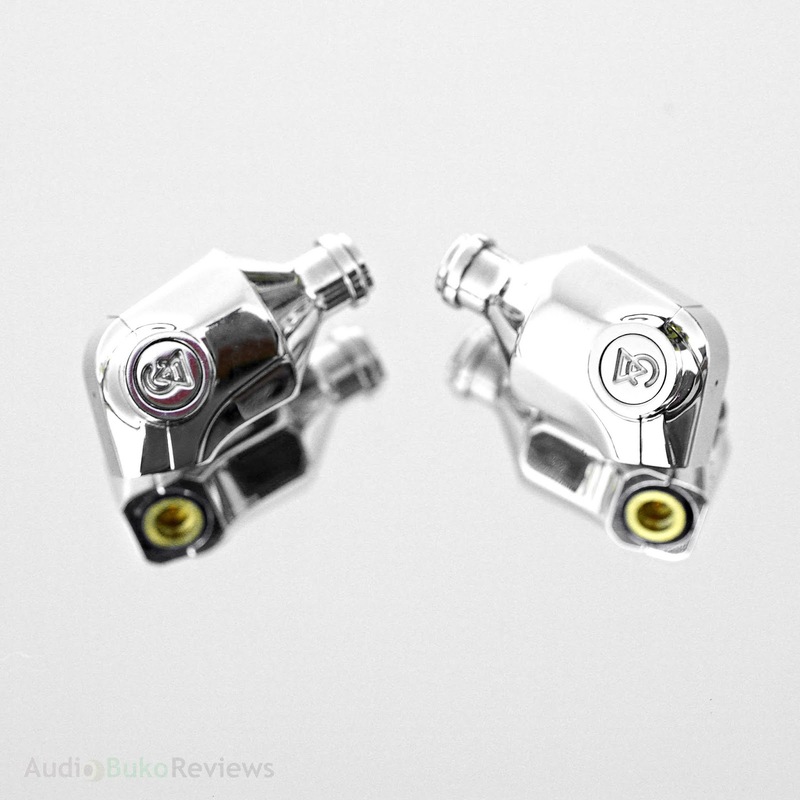 Conclusion and Final Thoughts: The Campfire Audio Atlas, is probably the best there is in its class, anything better will likely sound radically different and most likely cost a lot more. Priced above both Vega and Andromeda in the lineup, it's an easy upgrade if you love both and want both at the same time, with some caveats. Far from being perfect, if you desire the kind of sound that only dynamic drivers can deliver and still want the best of what a balanced signature can offer in the shell of the Atlas, then this is your ticket to ride. But for the rest willing to go beyond single dynamics, those seeking different sound signatures and wanting more detail than what the Atlas can deliver, there are always others options. 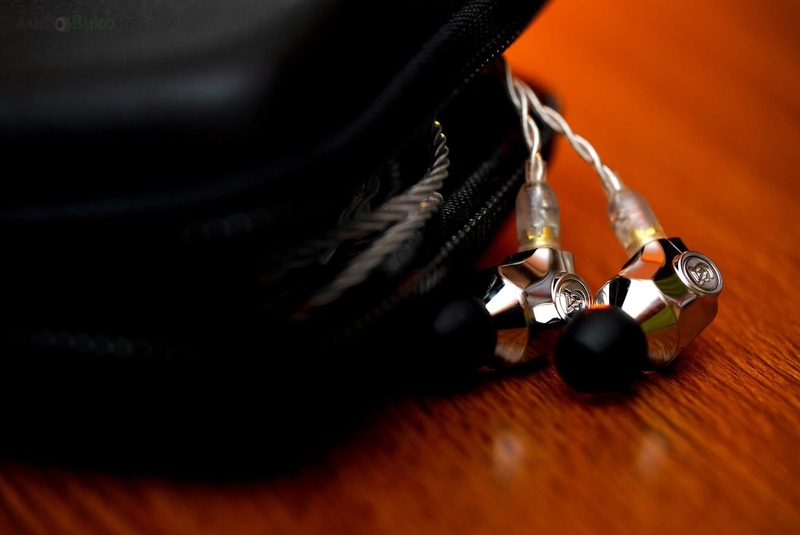 Standing on its own merits, the Atlas is quite a balanced and musically adept IEM. It's ability to draw out the best bass in every track and present it to the listener as demanded by the music is quite incredible, setting the stage for the mids which is admirably eloquent in detail and smooth in presentation. That, coupled with a treble adorned with a healthy sprinkling of sparkle, lots of crisp and air, blending into a wide stage and accompanied by an accomplished level of layering and separation, all to bring you closer to the TOTL sound (Top Of The Line) border of no dynamic driver land, where beyond lies the shells of IEMs filled with balanced armature drivers. See below for the TLDR pros and cons. Pros: Responsive, deep and strong speaker like bass; spacious, nicely detailed and emotive mids; balanced treble, crisp with extended reach; a goodly wide soundstage, with great layering and separation; fun and engaging signature, easy to love, tough design, great stock cable, useful and generous accessories. Cons: Body can be a scratch and smudge magnet, fitting can be a fidgety fight filled with failure and fortune.